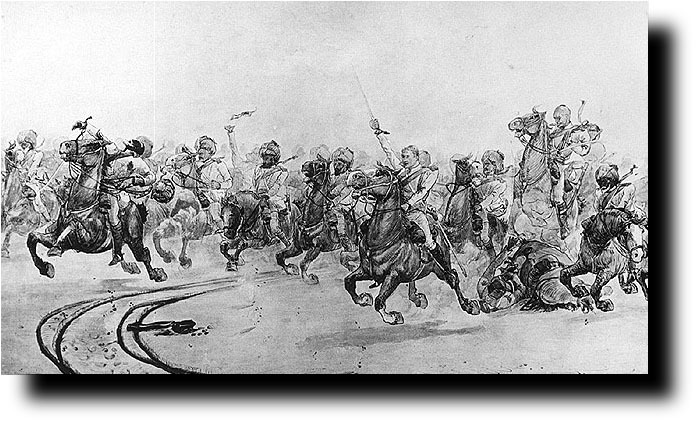 "The charge of Nuttall's cavalry at Maiwand. The bareheaded officer with sword raised is Captain Mosley Mayne, 3rd Cavalry. Pen and ink sketch by T. D. MacFarlane 1890"